Improve Magento sales with this low hanging fruit! 3 Tips! We get a chance to analyse quite a few Magento stores in both our technical and SEO audits every month. Every store is unique in its own way and we always strive to provide as targeted and useful advice as possible for each store’s specific case. Some of the recommendations we give require some major investments in development, design, or some other activities. There are, however, some low hanging fruit that we often see in a lot of stores that come our way. So here are a few things that might be applicable to your store that you can fix today! Navigate to Catalog -> Search Terms. You’ll see all of the search terms used in your internal site search listed in a grid. You can edit any of them. Once you go into edit, you can set which query is this query’s synonym to fix common spelling mistakes for some of your products, categories or brands. You can also set redirect URLs. This is extremely powerful, as you can instruct Magento to return any URL you want instead of returning the search results when a given query is entered. Common uses for this redirect feature are “sale” query redirect to your “Sale” category, some non product searches redirect to appropriate CMS pages etc. Your internal site search can be additionally optimized in many ways. You can use Magento’s default site search functionality, or you can implement SOLR. In some cases, you might even implement a 3rd party solution such as Google Custom Search. Here is a case study where we implemented Google Custom Search as a site search engine and saw an amazing 338.83% increase in revenue from site-search users. You might notice a problem when you analyse your Google Analytics and Google Webmaster Tools data. There are lots of website exits on the cart page, or there are a lot of returning visitors searching for your brand name + coupon code or similar coming to your website. This is a common problem with a lot of Magento “cart” pages. 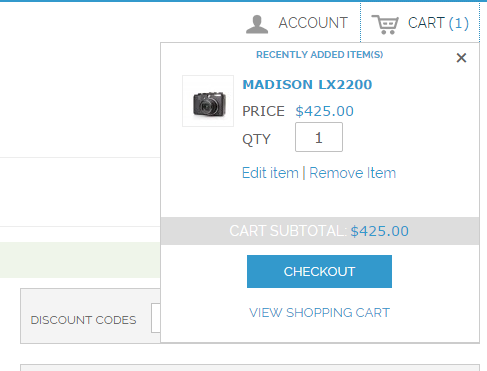 Users come to the cart and see “Apply coupon code” button and input field there. They instantly think to themselves there might be a coupon code somewhere and I might get this cheaper and they leave your website to Google for your coupon code. To reduce the amount of people exiting your website at this stage, offer an explanation on how to get these coupon codes right there! The explanation can be displayed in a lightbox popup or any other way you want. It can say you send coupon codes in your newsletter and ask them to subscribe or any other explanation into how they can acquire a coupon code. In the last few versions of Magento, the default theme has a problem with the mini cart functionality that leaves some of your visitors stuck, unable to proceed to checkout. Only if the user goes to the full cart page, there will be a warning “Some of the products are currently out of stock.” but it will still not instruct user what to do to get his checkout button back. 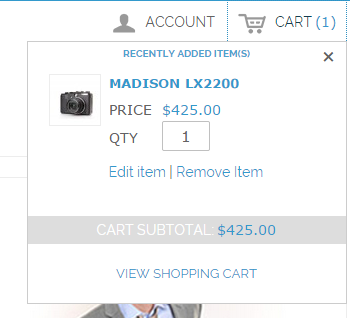 You should add instructions for the user to remove the out of stock item from the cart in order for the “checkout” to become available again as user might have several items in cart while only a few or one of them is out of stock and user might want to buy the rest of the items in cart. Would you be able to tell me which is the most seo friendly magento theme? I don’t think instructing customer to remove out-of-stock products from the cart is a good idea, it’s not something they have to bother about. Instead there should be functionality in the website to do this automatically. I would say display checkout button ALWAYS and when they go to shopping cart auto remove out-of-stock products through observer. Does it improves the SEO rank also? If yes then what is the process behind this? Thank Toni for handy post. I can vouch for the search terms increasing sales, we spent weeks with a client sorting out their search terms, and they saw an incredible 40% increase in sales. Doing some stats, 70% of their customers use their search box. Thanks Tonic. Setting query was new information and I have tried it for my client site. Looking forward for such tech post. How do I know if my mini cart has this problem? Nice article. I wonder how small changes can make a big difference in e-commerce.